Jeffries Blackerby, formerly deputy editor at Condé Nast Traveler, has been named executive editor at Travel + Leisure. Jayne Jamison, formerly VP and publishing director at Redbook and Seventeen, has been named SVP and publisher at O, The Oprah Magazine. Joanna Coles, currently editor-in-chief at Cosmopolitan, has also been named editorial director at Seventeen. Ann Shoket, formerly editor-in-chief at Seventeen, has been named consultant at Hearst. Donna Kalajian Lagani, currently publisher, SVP, and publishing director at Cosmopolitan, has also been named marketing and publishing director at Seventeen. Sue Katzen, formerly associate publisher of advertising at Cosmopolitan, has been named publisher at Redbook. Jill Seelig, formerly senior vice president and publisher of O, The Oprah Magazine, has been named SVP of corporate development and magazine publishing at Hearst. Catherine Gunderson, formerly editorial business manager at GQ, has been named managing editor at Marie Claire. 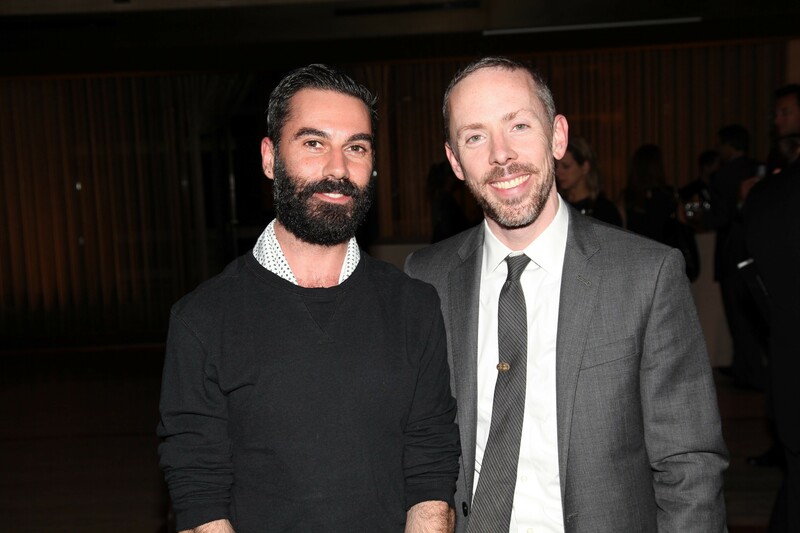 Kyle Anderson, formerly accessories director at Marie Claire, has been named style and accessories director at the publication. Samantha Greenspan, formerly assistant accessories editor at Teen Vogue, has been named associate accessories editor at SELF. Judy Meepos, formerly deputy editor at InStyle, has been named style editor at The TIG. Renee Rupcich, formerly senior art director at Condé Nast Media Group, has been named design director at NYLON and NYLON Guys. Tony Brancato, formerly head of web products at The New York Times, has been named executive director of web products and audience development at the publication. Tamar Adler, currently contributor at Vogue, has also been named contributing writer at The New York Times Magazine. Andrew Wallenstein, formerly editor-in-chief of digital at Variety, has been named co-editor-in-chief at the publication. Claudia Eller, formerly editor-in-chief of film at Variety, has been named co-editor-in-chief at the publication. Cynthia Littleton, formerly editor-in-chief of television at Variety, has been named managing editor of television at the publication. Aliya King, formerly senior content producer at Vibe, has been named entertainment editor at Ebony. Charlyne Mattox, formerly senior food editor at Real Simple, has been named food and craft director at Country Living. Richard Tomko, formerly consultant at Boost Digital, has been named publisher at amNewYork. Joe Sabia, currently co-founder at CDZA, has also been named head of digital development at Condé Nast Entertainment. Richard Lambertson, formerly design director at Tiffany & Co., has been named design director of the leather division at Shinola. John Truex, formerly design director at Tiffany & Co., has been named design director of the leather division at Shinola. Beverly Hill, formerly CEO at Issa London, has been named CEO at MiH Jeans. Chloe Lonsdale, currently founder at MiH Jeans, has also been named chief creative officer at the company. Johan Quintus, currently partner at MiH Jeans, has also been named chief operating officer at the company. Álvaro González, formerly design director at Valextra, has left the company to launch his own accessories line. Kelly Ricci, formerly PR director at Cynthia Rowley, has been named director at Hunt & Gather. Salena Martell, formerly assistant account executive at BPCM, has been named PR assistant at Starworks Group. Sarah Horan, formerly account director at Bluprint PR, has been named senior manager of PR at Starworks Group. Tiffany D’Aurizio, formerly senior marketing manager at The ONE Group, has been named PR manager at Sovereign Brands. LaForce + Stevens announces its representation of Abercrombie & Fitch and Hollister Co.
Susan Magrino Agency announces its representation of The Residences at Baha Mar, Hampshire Hotels Management, and SpongeBath. Company Agenda announces its representation of Tosia. Alison Brod Public Relations announces its representation of Casper. Fournier PR + Consulting announces its representation of Montez Renault. Brandstyle Communications announces its representation of Eloquii and Surprise Ride. SHO + CO announces it representation of Gap and Temperley London for VIP services. Siren PR announces its representation of Ulla Johnson. Bollare Communication announces its representation of Juliet & Company. Maguire Steele announces its representation of Beckley By Melissa. The Narrative Group announces its representation of NFL Homegating, Baccarat Rodeo Drive Chandelier Installation, Mastro’s Restaurant NYC, and UNICEF Masquerade Ball. Kiara Horwitz Public Relations announces its representation of Olio e Piu, Whynot Coffee, Whynot Bistro, HERO CLEAN, and Proper West. Style House PR announces its representation of TULA.